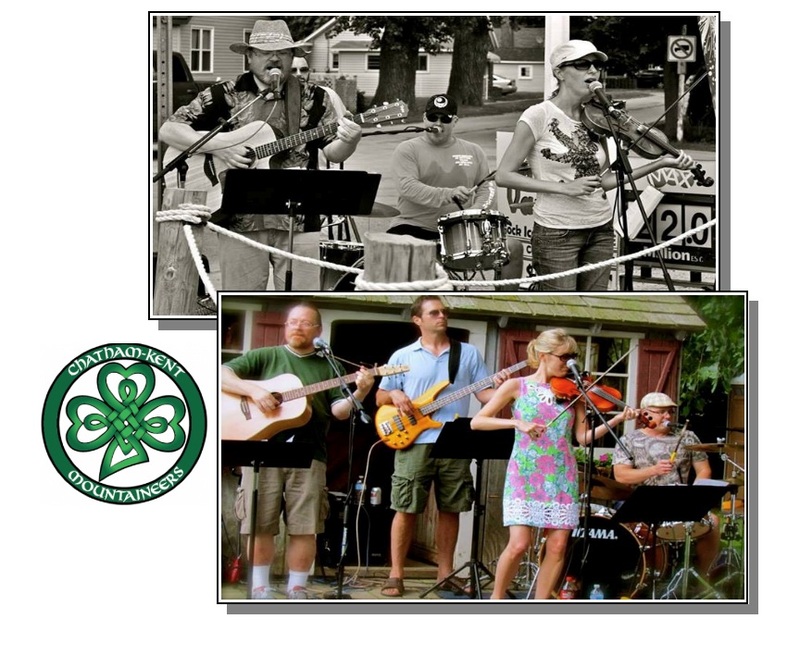 Notes: The Chatham-Kent Mountaineers’ sound focuses primarily on Celtic and Canadian East Coast influences, in addition to one of its main functions as Irish beer-drinking music. Those who enjoy bands like Great Big Sea, Spirit of the West, the Young Dubliners and the Dropkick Murphys as well as the more traditional music of the Maritimes are sure to enjoy the high energy shows the Mountaineers have become renowned for. The Mountaineers rarely end a show without most of the crowd up dancing and singing along — crowd participation is strongly encouraged. The Chatham-Kent Mountaineers have been well-received by local and regional audiences for the past year and continue to gain new audiences, including making their international debut in the United States. * The Chatham-Kent Mountaineers recent performances include Eau Buoy (Erieau), Capitol Theatre, Ribfest (Chatham), & the Kilt and Fiddle!.